Pick up at the hotel in Naples at the arranged time. 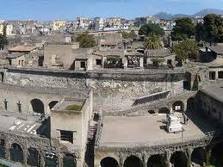 Transfer to Ercolano to visit the ancient and suggestive archaeological site, that since 1997 have been part of world heritage list of UNESCO. 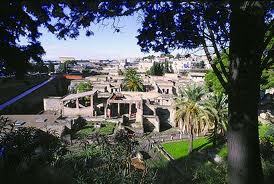 The ancient town "Herculaneum" rose at the foot of Mount Vesuviust as satellite town of the near Naples. 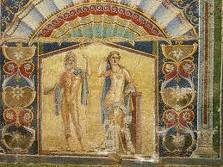 However, the beauty and the fertility of the place attracted the roman patricians, who built in this area sumptuous villas, like the suburban villa of the Papyri. 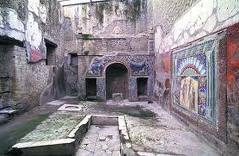 Then, the town was enriched with many pubblic buildings as the the walls and the acqueduct, the thermal baths, the theater, the basilica and the gymnasium. 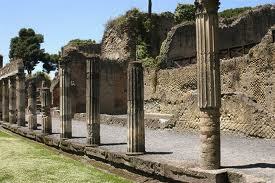 In 79 a.c the terrible eruption of Mount Vesuvius buried the city under approximately 30 meters of mud and ash. 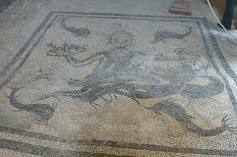 Thanks to the tale of an expert guide is easier to approach to the day life of people who lived more then 2000 years ago and moreover to admire the beauty of art and the architecture, as the famous mosaic of Neptun and Amphitride. 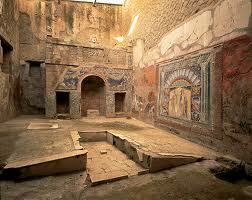 The visit at the archaeological site takes 1h 30. Return to the hotel. 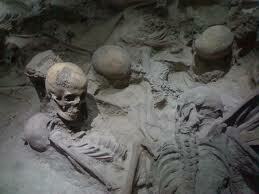 The excursion lasts 4 hours about.